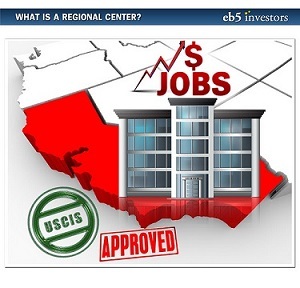 Why become an EB-5 Regional Center? There are many advantages to receiving EB-5 Regional Center designation from USCIS for your business. Becoming a regional center is an attractive way for a business project to raise low interest debt, and, in some situations, equity. Raising capital via the EB-5 Immigrant Investor Program is quite unique compared to traditional sources of funding and EB-5 is an exciting and ever-evolving industry. The EB-5 program became more popular beginning in 2007 as traditional lending became tougher. There are two ways of funding a project with EB-5 capital: through a direct investment or through a regional center. The regional center can be more attractive, as the designation makes some USCIS requirements less stringent for EB-5 visa applicants. Regional centers are held to more lenient job creation requirements than direct EB-5 investment, which focuses on direct job creation. Rather than being required to create 10 direct full-time jobs, regional centers can satisfy EB-5 job creation requirements by creating 10 direct, indirect, or induced full-time jobs. The regional center is afforded the benefit of economic multipliers in creating these jobs. Regional centers can also make it easier to pool capital since there is no limitation on the number of EB-5 applicants who can invest in a particular project, so long as each of the applicants meets the job creation requirements. However, a particular organization’s specific needs will always determine whether or not regional center designation is most advantageous. 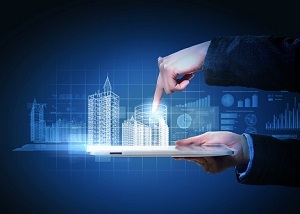 In the last year, many larger U.S. developers have been getting involved in this process and the number of applications has continued to increase with each year. There are currently 325 USCIS-designated EB-5 Regional Centers. Nearly anyone can apply for regional center designation—no special licenses are required. The term regional center refers to any economic unit, public or private, which is involved with the promotion of economic growth, including increased export sales, improved regional productivity, job creation, and increased domestic capital investment within the EB-5 program. The business models that are eligible to become EB-5 Regional Centers include governmental agencies, partnerships, corporations and any other existing U.S. commercial entity. Each regional center must obtain approval from USCIS. USCIS regional center designation entails a multi-step process that requires the input of various experts. The cost of obtaining regional center approval is highly variable. The actual application itself, called Form I-924, Application for Regional Center Under the Immigrant Investor Program petition, costs $6,230 to file with USCIS. However, the overall approval cost is often far more and largely dependent on the fees charged by various EB-5 experts. There are several steps that an organization must take in order to obtain EB-5 Regional Center approval from USCIS. The costs involved and the documents that need to be produced will depend on the readiness of the project. Each regional center filing must be accompanied by a project, the readiness of the project falls into three USCIS categories: hypothetical, actual, and exemplar. Perhaps the most important step of the regional center approval process is for the business organization to determine the geographic scope and economic benefit of the project. This includes determining the regional center geographic umbrella, business industry focus, corporate structure, operational business model, and required investment amount for the potential project. (a) A business plan writer with expertise in producing EB-5 compliant business plans should be consulted, as the business plan is one of the most important documents required for regional center filing. The AAO precedent decision Matter of Ho has articulated the standards by which USCIS willreview a business plan: The plan should contain a market analysis, including the names of competing businesses and theirrelative strengths and weaknesses, a comparison of the competition’s products and pricing structures, and a description of the target market/prospective customers of the new commercial enterprise. The plan should list the required permits and licenses obtained. If applicable, it shoulddescribe the manufacturing or production process, the materials required, and the supply sources.The plan should detail any contracts executed for the supply of materials and/or the distribution of products. It should discuss the marketing strategy of the business, including pricing, advertising, andservicing. The plan should set forth the business’s organizational structure and its personnel’sexperience. It should explain the business’s staffing requirements and contain a timetable for hiring, as well as job descriptions for all positions. It should contain sales, cost, and income projections and detail the bases therefore. Most importantly, the business plan must be credible. (b) An economist must be hired to prepare job calculation and job creation reports. This is especially important for a regional center project, as regional centers are afforded the ability to use indirect and induced job creation numbers. Indirect jobs can qualify and be counted as jobs attributable to a regional center, based on reasonable economic methodologies, even if they are located outside of the geographical boundaries of a regional center. For purposes of demonstrating indirect job creation, petitioners must employ reasonable economic methodologies to establish by a preponderance of the evidence that the required infusion of capital or creation of direct jobs will result in a certain number of indirect jobs. The economist must also determine whether or not the regional center will be located in a targeted employment area (TEA). These steps are critical because with all things USCIS, the more dubious the standard, the better the expert in the field must be. (c) Securities counsel with relevant experience in producing EB-5 compliant subscription and private placement memorandums must be consulted. These documents must not only comply with Security and Exchange Commission federal regulations, but also USCIS regulations, the most important of which being the “at risk” requirement: in order to qualify as an investment in the EB-5 Program, the immigrant investor must actually place his or her capital “at risk” for the purpose of generating a return, and the mere intent to invest is not sufficient. The alien must show actual commitment of the required amount of capital. This means that any clause providing a put, call, or redemption of investment funds prior to final adjudication of Form I-829 Petition by Entrepreneur to Remove Conditions, will result in possible denial of the investors application. Finally, with all these documents in place, the regional center can now submit the I-924 petition to USCIS. The regulations provide that once Form I-924 is filed with USCIS, the regional center can go to market and advertise its’ project. Please note however, the regional center cannot accept any investment from qualified investors, until, and only until the regional center is approved. Once the Form I-924 is approved, the regional center can now submit the EB-5 investors' Form I-526 petitions to USCIS: I-526 applications will outline the specific EB-5 projects that the regional center will be conducting, and will include either the documents outlined above in the actual or exemplar filing. While Form I-526 is a self-petition by an individual investor, it is critical to employ the services of experienced immigration counsel. Immigration counsel will shepherd and review the regional center, project, and investor through each USCIS step of compliance. Once approved, I-526 petitions enable individual EB-5 investors to obtain their conditional green card so that they can move to the United States. The regional center must monitor its investors and track the job creation requirements for its projects. The regional center must also file an annual compliance report, Form I-924a, with USCIS. The regional center must also make filings with the Securities and Exchange Commission and other state and local agencies that regulate securities. The final step of the EB-5 visa process for individual investor applicants is to file the I-829 petition. This application demonstrates that the project and investor have met all the requirements of the EB-5 program. Once approved, the I-829 enables the investors to obtain their lawful permanent resident status (green card). Although the application is filed by the individual EB-5 visa applicants, the regional centers provide evidence of meeting the job creation requirements as a result of the investment. EB5Investors.com can introduce you to professionals who will assist you in starting your own regional center. We know that the process is quite difficult without the right people to guide you. We are constantly adding service providers to our network in order to give you access to various economists, business plan writers, securities attorneys, and immigration attorneys to help with your regional center application (I-924 Petition). You can also call us at 1(800) 997-1228 or fill out the form below so we can get you started in the right direction.